Cannabidiol oil, better known as CBD oil, has gained popularity in recent years as a healthy alternative to traditional medications. CBD is one of the many different compounds that can be found within the cannabis plant. For many years the cannabis plant had a negative stigma and was even declared illegal by the federal government in the United States. This unfortunately limited and delayed research for a number of years. However, recent scientific research has discovered that several health benefits appear to come from the use of the compound CBD found in the cannabis plant. CBD oils are the main way that people have begun to use this compound for medical use. CBD oils are created when the CBD is taken from the plant cannabis sativa, and then mixed with an oil to be used medically. CBD oil users experience medical benefits and changes in their bodies, and they experience no mind-altering side effects. Other side effects are minimal or non-existent. CBD oils work because cannabinoids, such as CBD, help the human body to overcome pain or inflammation. By reducing pain and inflammation, a variety of ailments a person may be suffering from can be treated. In addition, CBD is not addictive which minimizes chances of abuse or a person turning to addictive drugs. Through its continued use, people have realized that CBD oils can do much more than just provide pain relief. 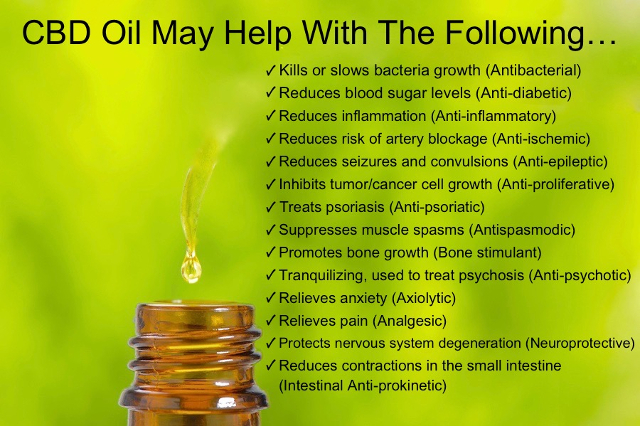 CBD oils can be used across a wide spectrum of areas in medicine. For example, cigarette smokers have been able to use CBD oils to overcome their nicotine cravings, thus reducing or stopping cigarette use. Former opioid abusers can use CBD oils to reduce withdrawal symptoms that are associated with stopping drug use such as anxiety, mood swings, pain, or insomnia. Research is currently underway relating to the positive effects CBD oil has had on treating patients with epilepsy. It is also being reviewed as a potential way to treat different types of cancer. Scientists have observed that the use of CBD oils by some cancer patients seems to stop cancer from spreading, and it even helps destroy cancer cells in some cases. People who are suffering from anxiety disorders, including post-traumatic stress disorder, anxiety disorder, and obsessive-compulsive disorder, can experience a reduction in their symptoms through the use of CBD oils. There is also research that CBD oils may have success treating Type 1 diabetes, which is caused by inflammation in the pancreas. The CBD oils can help treat and reduce this inflammation, thereby reducing and treating diabetic symptoms. Acne, which is partially caused by inflammation of sebaceous glands in the body, can be treated successfully with CBD oils. Finally, recent research has found that CBD oils could be used in Alzheimer’s patients to help them to remember the faces of friends and family. 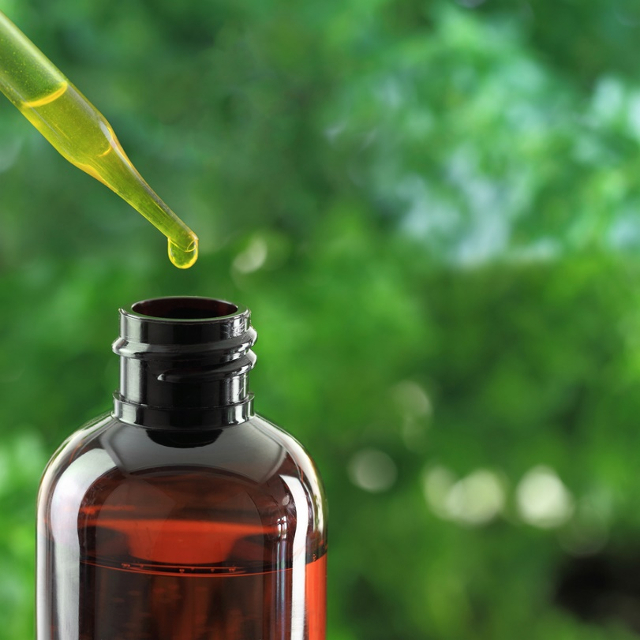 CBD oils use is on the rise, and while many people may believe that using CBD oil is a fairly modern way to treat certain medical conditions, the positive effects of CBD oils are not by any means a recent discovery. Dating back thousands and thousands of years, people have identified ways to treat ailments with the cannabis plant from which CBD oil is harvested. Evidence has been recovered by archaeologists that the people in Mongolia and Siberia were growing and harvesting the cannabis plant dating back to 12,000 BCE. There are also strong indications that the agriculture of the plant was an important part of the development of early civilization. It was used in almost all areas of life; building, clothing, religiously and medically. The use of the plant Cannabis Sativa was prevalent for thousands of years in ancient China, and it was used in many different aspects of Chinese life. The cannabis plant was a vital part of life then and it became an important part of traditional Chinese medicine, which is currently still being used worldwide. The traditional Chinese medicine that we know of today evolved over thousands of years. The ultimate goal of traditional Chinese medicine is to help a person to bring harmony within the mind and body by creating a balance between yin and yang. A balance between these opposing forces promotes a healthy body and life, while an imbalance within the body is what causes a person’s diseases and other ailments. Cannabis Sativa, the plant from which CBD oil is collected, is named as one of the 50 fundamental herbs in traditional Chinese medicine. It is described as being used for a wide variety of illnesses and conditions that a person may be suffering, and each part of the plant can be used for different purposes. For example, the leaf of the cannabis plant may be used to treat coughing, asthma, and parasites. Seeds from the cannabis plant can be given to a patient to be used as laxatives. Traditional Chinese medicine has also used the cannabis plant in the following ways; as a pain relief, to calm nerves, to treat insomnia, and to provide relief from menstrual cramps. The first written record in history of the cannabis plant being used as a medicine was recorded in the ancient Chinese book, “The Divine Farmer’s Herb Root Classic.” The book tells the legend of Chinese Emperor Shen Neng, who taught his people to grow and use the cannabis plant in all areas of their life. Shen Neng’s teachings and writings taught how the cannabis plant could be used for everything from cloth to medicine. According to the legends, Shen Neng ruled China for over 140 years and wrote the book “The Herbal,” which is still used by people who practice traditional Chinese medicine around the world today. “Ma,” as the cannabis plant was called, had both male and female forms, or yin and yang. The positive health effects the plant had were noted in “The Herbal”. Emperor Shen Nung believed that the cannabis plant could cure almost all ailments as long as it was being used in the correct way. According to another Chinese legend, Emperor Fu Hsi, who was a founder of China’s Middle Kingdom, invented the Chinese character script during his reign. This made the creation of medical textbooks possible, and the ability to share medical knowledge could become more widespread. Emperor Fu Hsi taught his people about the concept of the opposing forces yin and yang, and the importance of maintaining a balance between the two within the body. He considered the cannabis plant to be yin, and believed it could be used to restore balance with yang. Traditional Chinese medicine goes on to teach that the Cannabis plant aids with a variety of ailments such as menstrual cramps, gout, and rheumatism by restoring the balance between yin and yang within a person’s body. In yet another Chinese legend, Hua Tue, who was also known as “The God of Surgery,” discovered during the second century that the plant could be used as an anesthetic. During the Tang Dynasty in 629 CE, China founded its first medical school. Medical students who attended were trained in the many uses the cannabis plant had in the medical field. In 1644 CE, during the Manchu Dynasty, China began to share their medical knowledge about the positive effects of cannabis with the world. Archaeologists and historians have discovered that in India, beginning between 2000 and 1000 BCE, people used the cannabis plant in both their religious ceremonies and annual celebrations. It became the main ingredient in Soma, which is a drink that was commonly used in religious ceremonies. The Cannabis plant is also one of the ingredients in Bhang, which is another drink that is commonly used during celebrations. The people in ancient India realized the healing properties experienced when Bhang was consumed. They then began to use it to treat a variety of medical issues, from headaches to stomach ailments. Cannabis Sativa was grown and used regularly in Eastern and Central Europe throughout the Middle Ages to treat many different common illnesses. It was discovered to have positive effects on patients with the common cold and jaundice. During this time period, herbalists also began to use the plant to treat people with tumors and began to grow it in hospitals for use as a medicine. The Middle Ages brought about many improvements in agriculture, and people began to grow and breed the cannabis plant in order to make desired effects even stronger. Cannabis was especially popular in the Middle East during the Middle Ages, where it was valued and used more than anywhere else during this time period. Pharaoh Ramses II, who reigned in ancient Egypt from 1279-1213 BCE, encouraged his people to use the cannabis plant as a medicine. The first known topical use of the cannabis plant was created by the Egyptians; it was used to relieve pain from inflammation as well as help with labor pains during birth. The ancient Egyptians also used cannabis to treat sore eyes and cataracts. Another use was as a suppository to treat hemorrhoids. The Egyptians recorded the medical use of the cannabis plant on scrolls that were able to be dated back to 2000 BCE. Islam continued to grow in other parts of the region and with it the discovery and expansion of the many uses of the cannabis plant. Through continued use and experimentation, they realized it could be used to treat many medical problems, and therefore cannabis became an integral part of traditional Arabic medicine. Medieval Islamic medicine in the Middle East was much more advanced than medicine in other parts of the world at the time. Medical research was shared by all people, not just the wealthy, and it continued its rapid, successful development. Islamic physicians extended on the medical discoveries made by the ancient Greeks and Romans by obtaining and translating the records they had left behind. These records were researched and expanded upon. They also translated and expanded upon medical advancements that were made in the Far East. They wrote down detailed notes on medications, diseases, cures that had been discovered, as well as successful treatments. These physicians identified that the cannabis plant contained compounds that made it useful as a diuretic, painkiller, and anti-inflammatory. It could also be used to treat stomach ailments, fever, earache, and epilepsy. This was the first time in history that a group of people was able to use the cannabis plant to successfully treat seizures in a patient that were brought on by epilepsy. These discoveries brought about the book “Canon of Medicine,” which was written by the Muslim physician Avicenna. It was the most scientifically advanced and accurate medical book of the time period. “Canon of Medicine” was translated into several languages and was used from medieval times to the 17th century. Avicenna described how all of the parts of the cannabis plant could be used medically in his writings. He included detailed instructions and effects for the seeds, roots, and the leaves. Some of the treatments he described involved ingesting a part of the plant, while other treatments were performed topically. The cannabis plant was introduced in ancient Greece around 200 BCE, where it was again used medically. The conditions that were treated ranged from earaches to edema. The Greeks document that they used the cannabis plant to treat both human ailments and horses who were injured in battle. The roots of the cannabis plant were used to heal and provide burn relief for both humans and horses. The leaves of the plant could be used to treat sores that developed on horses, as well as nosebleeds in humans. Seeds from the cannabis plant could be used to treat someone with tapeworms. The Greeks also steeped the seeds and leaves of the cannabis plant in water or wine. This drink was then given both as a pain relief and as a treatment for someone suffering from inflammation and constipation. The Greeks also used the cannabis plant in steam baths. The purpose of these baths was to provide relief to soldiers after a battle or those who were close to death. Across the Mediterranean Sea, the Romans were using the cannabis plant to remove bugs from their ears and also as a general pain relief dating back to 77 CE. By 200 CE, the Romans had identified how it could be used medically to treat many different ailments including stomach pains, headaches, and dehydration. This first documented use of the cannabis plant in North America was in Jamestown, Virginia in the 17th century. Laws passed in the then British colonies required farmers to grow the cannabis plant due to its multiple uses. Medically, it was used to treat mental health disorders. By the 18th century, the cannabis plant in America was being used as a pain relief, as a treatment for skin inflammations, and to help with coughs. The plant continued to be used medically through American history until the early 1900s when drugs began to become more regulated. In the 1970s, the cannabis plant began to make a comeback in the medical field as doctors began to use it to help cancer patients overcome the symptoms of chemotherapy. Seeing the success that the cannabis plant had, it began to be used to treat other conditions such as glaucoma. In 1996, the state of California legalized the use of the cannabis plant to treat both HIV/AIDS and cancer patients. This lead the way for other states and countries to do the same or pass other similar legislation. Research on the positive effects of the cannabis plant grew and its multiple uses began to increase. In 1998 GW Pharmaceuticals, a company based in Great Britain, began to work on a way to remove the compound CBD from Cannabis Sativa for use in the medical field. Early research showed that it had success in lowering anxiety and helping to control seizures in patients with epilepsy. These successes inspired further research in CBD oils throughout the worldwide medical community. In the 2010’s, CBD oil started to be successfully used to treat many life-threatening medical conditions, including brain tumors and grand mal seizures. In today’s world, CBD Oil can be used to treat a wide variety of ailments, from common to life-threatening. After the CBD compound is removed from the Cannabis Sativa plant, it is added to a carrier oil such as coconut oil. As previously stated, in addition to its use as a general pain reliever, there have been positive results in the treatment of ailments such as acne, high blood pressure, anxiety, and cancer. CBD, which is a cannabinoid, has no negative effects on a person’s mental state but does provide positive effects within a person’s body. 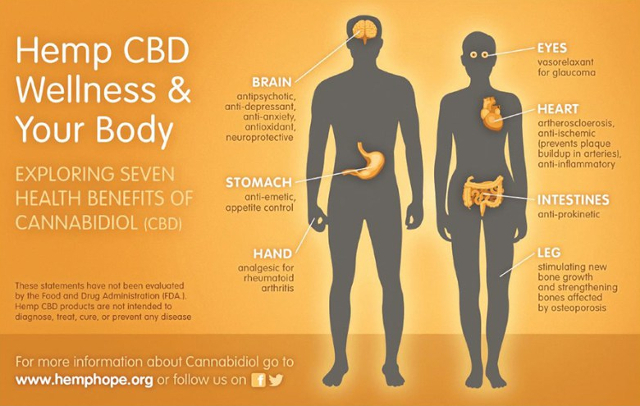 There are two cannabinoid receptors that can be found in the human body, CB1 and CB2 receptors. CB2 receptors can be found throughout the body and deal with the immune system. The human body normally makes cannabinoids on its own, which affect the body as they are needed. CBD oils work by prompting the body to produce more cannabinoids, especially for use as a pain treatment. There are very few, if any, side effects from CBD oils use. CBD oils are a completely natural alternative for pain relief to over the counter drugs and can be used in a few different ways. Some CBD oils are mixed into a person’s food or drink and can be ingested. Others are taken directly from a dropper or are used as a spray. CBD oils can also be put into a paste and rubbed over a person’s skin. There are also CBD oil capsules that are available for ingestion. There is current research that there may be positive effects on a person’s heart and circulatory system from CBD oil use. For instance, using CBD oils can lower a person’s high blood pressure, which could then reduce the risks of heart attack and stroke. Studies have also shown that CBD oils have successfully reduced both naturally occurring high blood pressure, as well as high blood pressure that is caused by stress. Overall cardiovascular health can improve through the use of CBD oils, and it can reduce the chance of a person developing diabetes. Anxiety disorders and depression are another health problem that can be treated and reduced with CBD oils. Research has shown positive results in the treatment of social anxiety disorder, panic disorder, obsessive-compulsive disorder, and post-traumatic stress disorder. There have also been positive results from using CBD oils in the treatment of patients with schizophrenia. CBD oils may also help people overcome addictions. Adults and children with epilepsy have experienced successful treatments with the use of CBD oils. There is a very low risk of side effects from its continued use, and people who are suffering from epilepsy who have used CBD oils have had a decrease in seizures. CBD oils have also been used to treat patients with cancer. Side effects such as nausea and vomiting that are caused by cancer treatments, including chemotherapy, can be lowered or eliminated by using CBD oils. Due to the low toxicity of CBD oils, it could be an effective alternative to more traditional treatments for some cancer patients. According to the National Cancer Institute in 2014, 14.5 million people were living with a cancer diagnosis, with numbers expected to continue to rise. There has been growing research and evidence that the use of CBD oils can slow or stop the growth of cancer in a patient’s body. Animal studies that have been conducted have shown that CBD oils have success in causing the death of cancerous cells. Current trials are taking place to study the effects that CBD oils may have on the cancer cells in human test subjects. Research has shown that CBD oils appear to help the CB2 receptors in a cancer patient’s spleen to help with immunity. The CBD oils then help the body to seek out and kill cancerous cells. Unlike chemotherapy, which kills every dividing cell in the body, whether cancerous or not, CBD works to only kill the cancerous cells. Breast cancer is currently the second highest cancer death in women living in the United States. Studies that have been conducted by the American Association for Cancer Research have discovered that CBD oils work to kill breast cancer cells while reducing any damage to non-cancerous breast tissue. Dee Mani was a sufferer of breast cancer and is one success story. She was diagnosed with triple negative breast cancer, and her sister had died while using chemotherapy. Under recommendation from her doctor, Mani beginning using CBD oils as treatment. A few months later she was declared clear of her cancer diagnosis. Some researchers believe that CBD oils could potentially replace chemotherapy as a treatment for not only breast cancer but potentially other types of cancer as well. 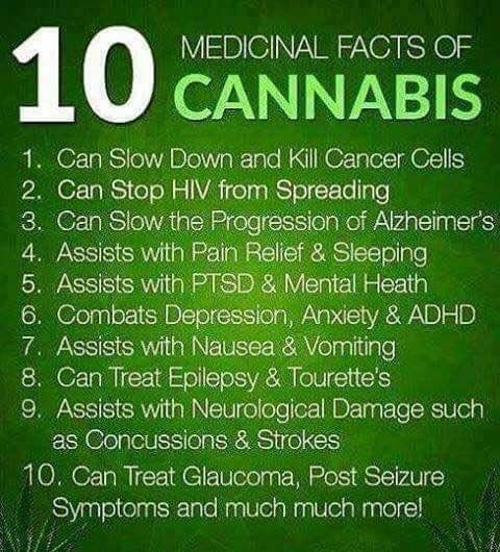 However, further research is still needed to understand CBD’s true effects on patients that are suffering from cancer. Unfortunately, since cannabis is currently classified as a schedule I substance, research into its effects on cancer have been limited. Patients with HIV or AIDS experience a complete loss or deficiency in their immune systems, which is putting them at a higher risk for complications from diseases. Since HIV and AIDS arose in the 1980s, over 36 million people have died from it. Recently, CBD oils have been looked to as a way to relieve a person’s AIDS symptoms. There has been some success in treating side effects of AIDS such as vomiting and the loss of appetite. CBD oils have also helped AIDS patients maintain the nutrients the body needs, as well as helping a person to gain back lost weight. CBD oils will also work as a pain relief for patients who are suffering from AIDS. Another disease that can be potentially treated with CBD oils is Alzheimer’s disease. Alzheimer’s disease, which is one of the forms of dementia, is a neurodegenerative disorder that causes permanent and progressive memory loss in a person. A patient’s symptoms normally will slowly get worse over time, and it usually affects patients who are between 65 and 80 years old. It affects both short and long-term memory, cognitive abilities, and it causes speech difficulties. Patients with Alzheimer’s disease also begin to lose the ability to recognize the faces of family and friends. These symptoms are all permanent. Alzheimer’s disease will continue to progress until a patient can no longer care for his or herself. Studies in Australia using CBD oils have shown success in experiments done on mice. The mice with Alzheimer’s maintain their social recognition after CBD oil use. As of this article’s publication, there are currently no studies on the effects that CBD oils may have on people with Alzheimer’s. However, small groups of people have reported success in managing their symptoms, including aggression, soon after beginning CBD oil use. CBD oils may also help patients remember things and slow down the progression of Alzheimer’s disease. Studies on the effects CBD oil has on those with epilepsy also have shown promise in treating other disorders that are related to epilepsy. This includes neurodegeneration, neuronal injury, and psychiatric diseases. Epileptic cases that have been previously diagnosed by doctors as being untreatable have had some success with CBD oils. Patients with epilepsy have experienced reduced or more controlled seizures than prior to beginning use. In addition, the FDA has recently approved human trials due to the success that CBD oils have had in treating seizures in animals. This will allow more patients with epilepsy to access CBD oils for treatment sooner. Early studies in humans, especially children, have shown very positive results. Current seizure medications are ineffective for about a third of patients who have epilepsy. The medications either don’t stop seizures from occurring, or their side effects are so severe they do more damage than good to the person who is using them. As a result, many patients, including parents of children with epilepsy, have begun searching for something other than traditional medications to help to control seizures. This includes turning to the use of CBD oils. One example is 6-year-old Charlotte Figi, who has Dravet’s Syndrome which is a form of epilepsy. She averaged around 300 grand mal seizures in a single week. Due to the frequency and severity of her seizures, with some lasting up to two hours, Charlotte had lost the ability to walk, talk, and even eat. Medications that doctors had prescribed to treat her epilepsy were not working for her and some had severe side effects. Her parents began to search for alternative treatments including special diets. While some things seemed to help, everything they tried was only a temporary solution. By the time Charlotte was 5 years old, doctors told her parents they had used every possible medication. In addition, the rescue medications that had been provided to her parents which were used to stop her seizures would also stop her from breathing. Finally, her father suggested that they try CBD oils, which could be taken orally from a syringe. After Charlotte began using them her parents reported she began only having a few seizures a month. She also recovered cognitively in some areas. Her first dose of CBD oils left her seizure-free for a week. The seizures she does still have are shorter and not as severe as the ones she previously was experiencing. Her mother stated, “In six years, this is the only thing that has given us this type of success with no side effect.” As the positive results experienced by Charlotte spread, other people suffering from epilepsy or with family members suffering from it began turning to CBD oils. Many of these families reported similar results to the ones experienced by Charlotte Figi. 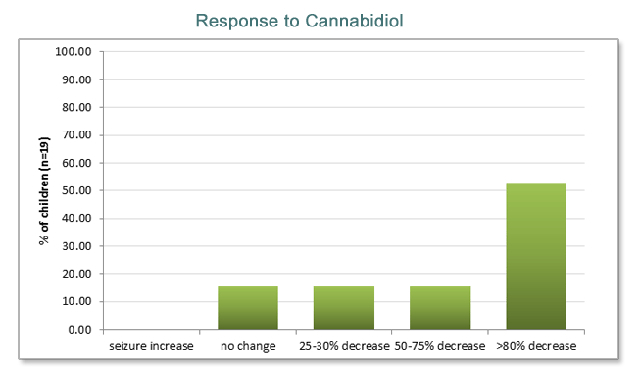 Below are the results from patients with epilepsy and their response to treatments with CBD oils. Dravet’s Syndrome is a severe form of epilepsy that begins in a person’s early childhood. Along with a large number of dangerous seizures, patients with Dravet Syndrome experience developmental delays, problems with speech and language, behavioral issues, and difficulties with gross motor skills. Currently, there is no long-lasting medical treatment for people suffering from Dravet’s syndrome. Most children with the condition die from seizure-related complications by their 20th birthday. A recent study was completed on 120 patients with Dravet syndrome from ages 2 to 18. Over a 14-week period, some of the study’s participants were given an oral CBD oil, while others were given a placebo. Children who used the CBD oils during the 14 weeks experienced a 39 percent decrease in seizures, compared to only a 13 percent decrease experienced by the group receiving the placebo. 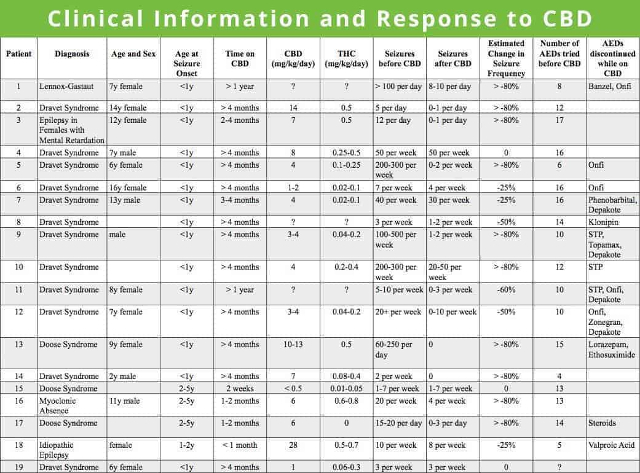 Five percent of the children using the CBD oils were completely seizure free during the entire duration of the study. Side effects that were reported included fatigue and some decreased appetite, vomiting or diarrhea. Though the study was short and the group wasn’t large, the findings were encouraging for anyone suffering from epilepsy. Currently, cannabis is labeled as a Schedule I drug. This means that presently it has no recognized use medically. Doctors and scientists are hopeful that the promising results from the study of CBD oils on children with Dravet’s syndrome will encourage the Food and Drug Administration to allow more research and therefore make it easier for patients to access when needed. One of the top causes of death in a person over the age of 45 is traumatic brain injury (TBI). A person may suffer from a TBI due to an external hit to the head; it is caused by a variety of injuries including severe concussions, falls, head injuries in contact sports, and other head wounds. TBI is also one of the top causes of epilepsy in adults. Patients who suffer from a TBI may have permanent disabilities both physically and cognitively and therefore require lifelong care. Presently between 4-6 million Americans are on disability relating to TBI. 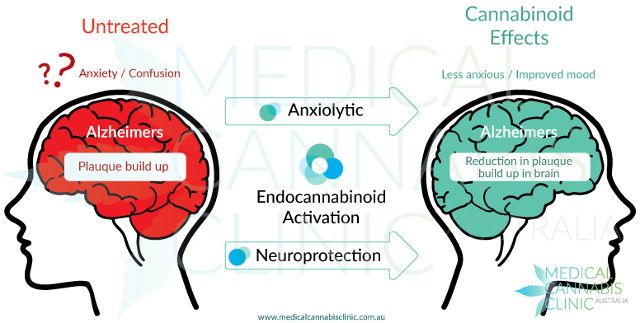 CBD has been documented as being an effective treatment for patients with a TBI. In addition to reducing the seizures brought along from epilepsy, TBI patients have experienced some functional recovery after CBD oil use. The CBD works to limit the tissue damage that is due to the head injury. Chronic traumatic encephalopathy (CTE) is a more severe form of TBI that is usually caused by a large number of concussions over a period of time. This can lead to neurological problems and even cause an early onset of dementia in patients. NFL football players have been known to suffer from CTE due to the multiple concussions and head injuries they can receive while playing football. CBD oils have recently been used by professional athletes to treat or to help slow down the progression of CTE. 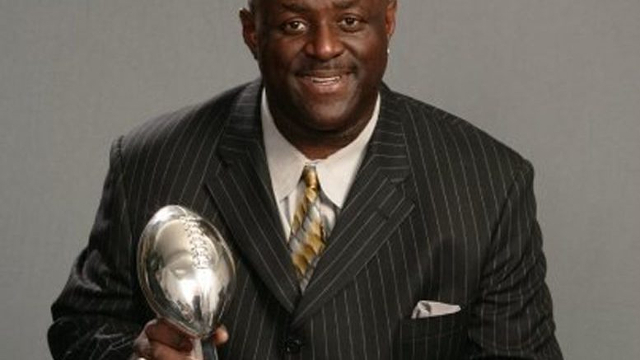 One example is former New York Giants defensive lineman and Super Bowl champion Leonard Marshall, who was diagnosed with CTE in 2013. After his initial diagnosis, Marshall was treated with a variety of strong prescription medications. However, the side effects from the medications were severe and he was left not feeling like himself. After he began conducting his own research and finding the side effects were minimal, Marshall began using CBD oils. He experienced positive results; CBD oils treated his short-term memory loss, headaches, mood swings, and light sensitivity. Marshall had such positive success that he began promoting the use of CBD oils to others who are suffering from CTE. Less than a year after he began using CBD to treat his symptoms from CTE, Marshall was able to completely stop using prescription medications. He has spoken favorably of this as well, stating that CBD oils are not addictive like other pain medications. Therefore, users of CBD oils are much less likely to develop substance abuse problems later in life. 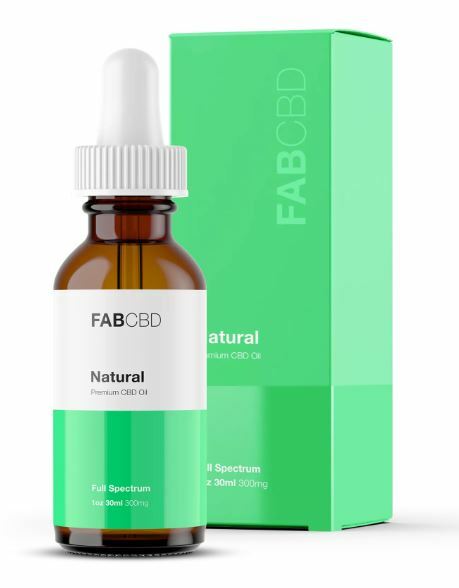 While CBD oils have increased in popularity across the United States and worldwide, due to the natural source and lack of side-effects, in some states, they are not readily available or even yet legal. At this time CBD oils have not yet been approved by the United States Food and Drug Administration (FDA). CBD oils are also not legal across the entire United States. 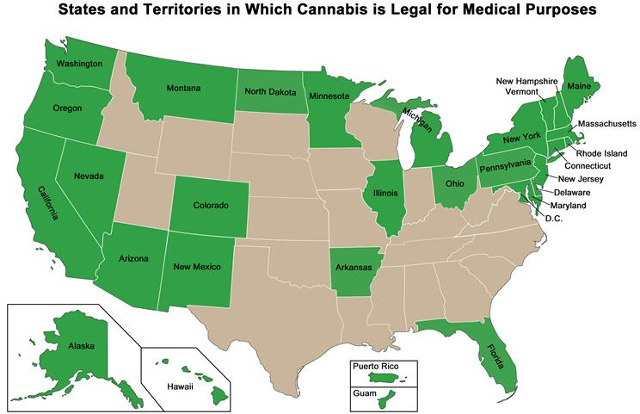 In some states CBD oils are available to anyone, some states require prescriptions, and other states do not have CBD oils available to any residents at this time. The Drug Enforcement Agency (DEA) currently still has CBD listed as an illegal drug federally, even though it is legal in some states. However, representatives from the DEA have also stated they do not have plans to pursue or prosecute those using CBD oils for medical treatments. This suggests there could be a change in the status of the cannabis plant for its use medically in the near future. As research continues and positive effects continue to be supported by both doctors and scientists across the country, laws are expected to change so CBD oils can be available to anyone who may need them to treat any medical condition, but please check the current laws of all relevant legal bodies before making any treatment decisions. The cannabis plant and CBD oils have a long history throughout time, dating back thousands of years, of being used medically. Recent research has begun showing how CBD oils can be used to effectively treat a wide variety of ailments a person may be suffering from. CBD oils can help to relieve symptoms and treat conditions of anything from acne to cancer. As scientific research continues to grow and successful results are continued to be reported, many people are hopeful that CBD oils will be recognized as treatment by the FDA. In the near future, they may be easily and legally accessed across all 50 states.